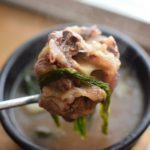 Korea has its fair share of excellent beef bone soup restaurants, but oftentimes their price point is on the expensive side. 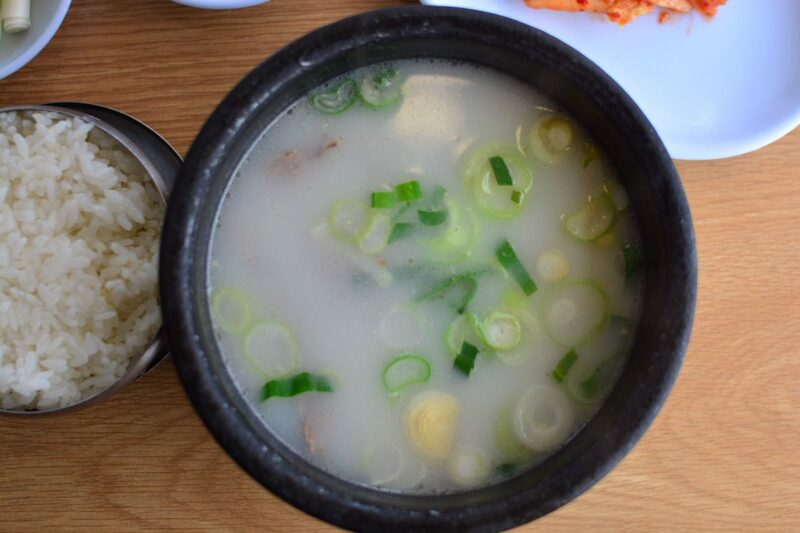 For instance, I have had ggori gomtang at legendary places like Eunho Sikdang and Jinju Jip for roughly 20,000 won ($20), a pretty steep cost for a relatively simple soup but not surprising for places that have been open for decades. 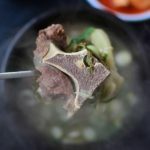 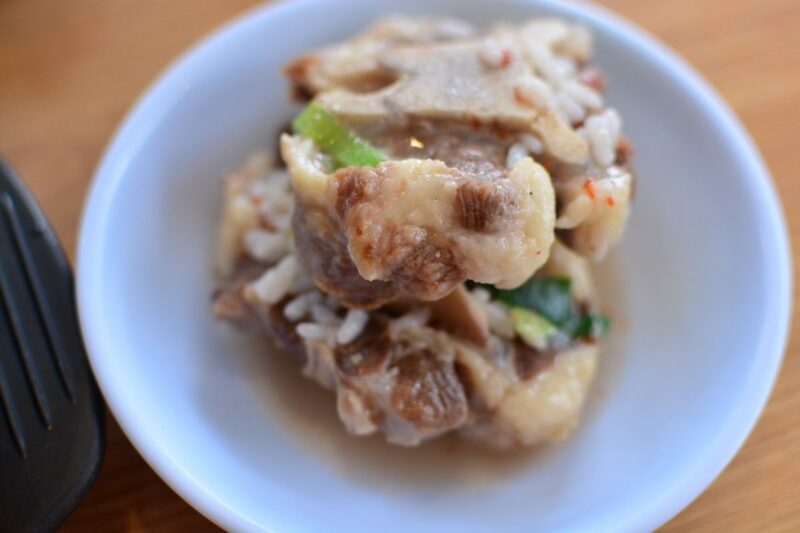 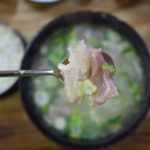 So, it was a pleasant surprise when I discovered a popular 40-year-old gisa sikdang that, not surprisingly, specializes in everything beef bone soup plus many more enticing options. 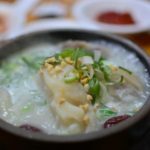 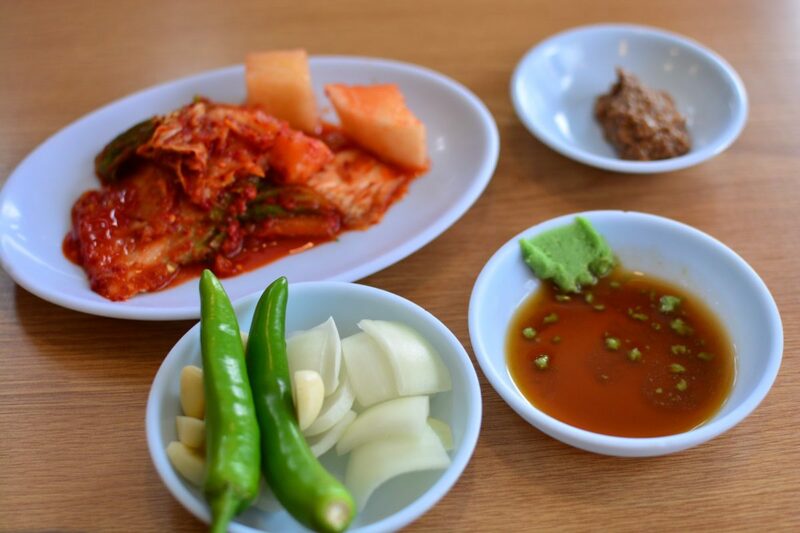 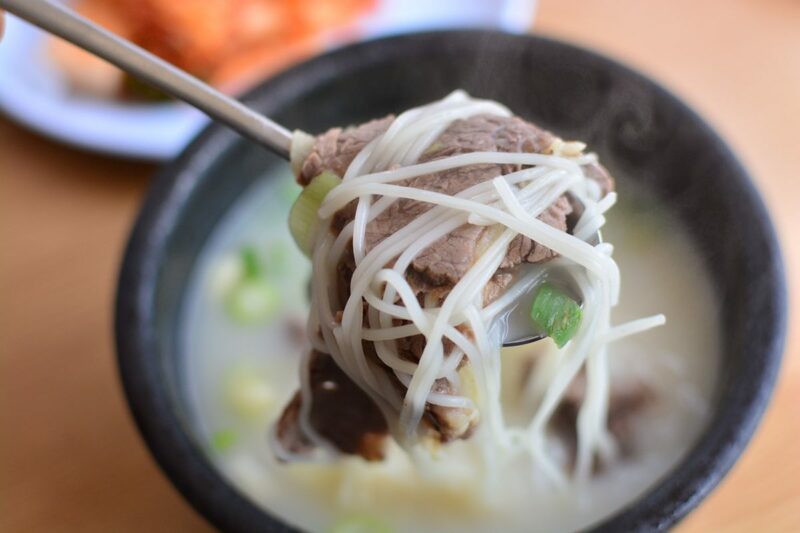 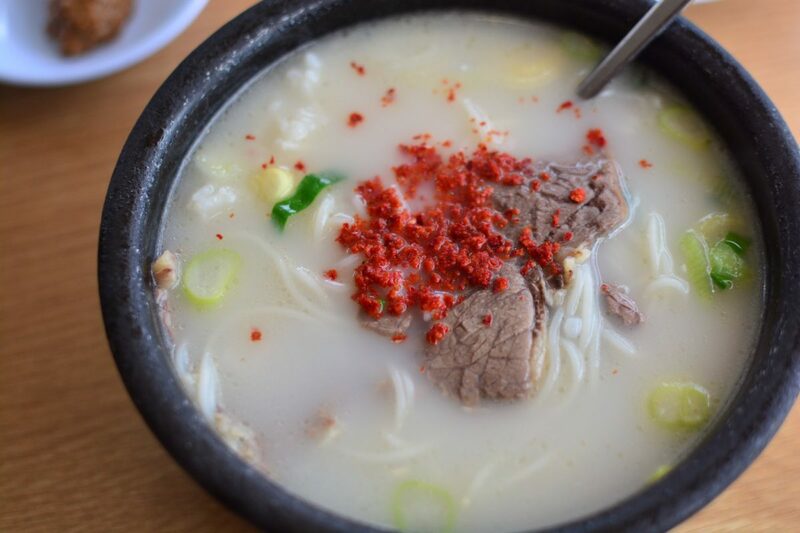 Ranging from the more well-known seolleongtang (beef bone soup with brisket) to the lesser known woojoktang (ox hoof soup), this quick-stop eatery is filled with taxi drivers and elderly patrons at peak hours (a great sign). 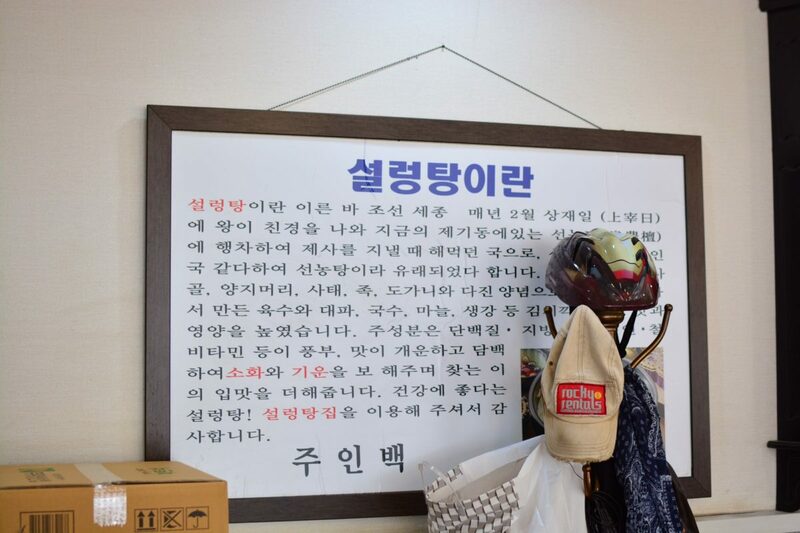 But like most gisa sikdangs, the place never gets too busy as efficient and friendly service expedite the restaurant’s business. 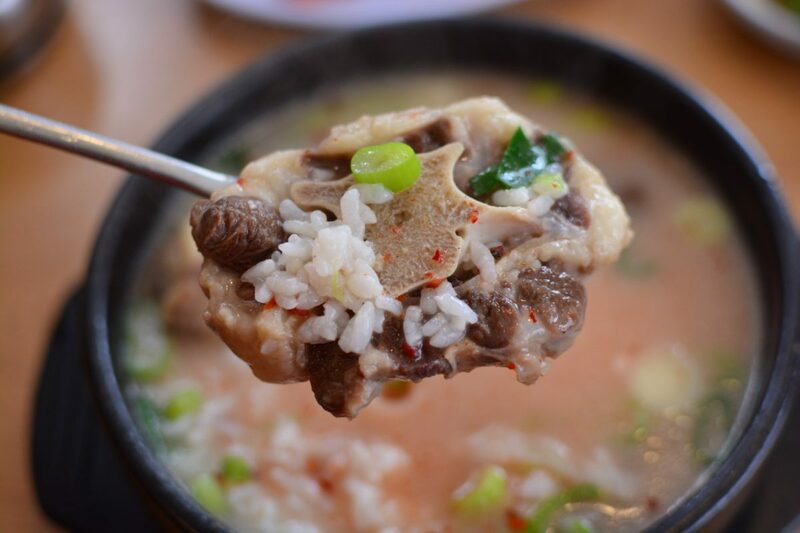 So far, I’ve had their seolleongtang and ggori gomtang (oxtail soup), the latter being one of my current favorites. 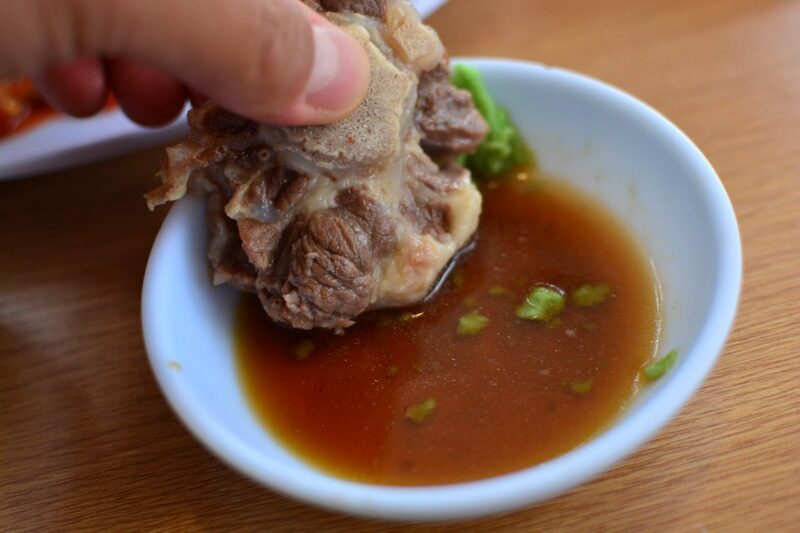 Over the years, I’ve learned that the meat from the oxtail is second to none, with that perfect balance of meat, fat, and gelatinous collagen made even more flavorful with the dipping sauce. 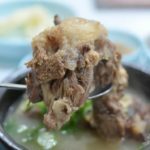 Thinking back, I can’t believe that I disliked this dish as a child, not really into gnawing at the bone to get to the precious meat. 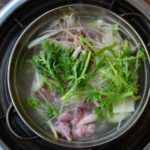 Both of the beef bone soups were delicious–full of hearty pieces of meat in a soothing yet invigorating beef bone broth. 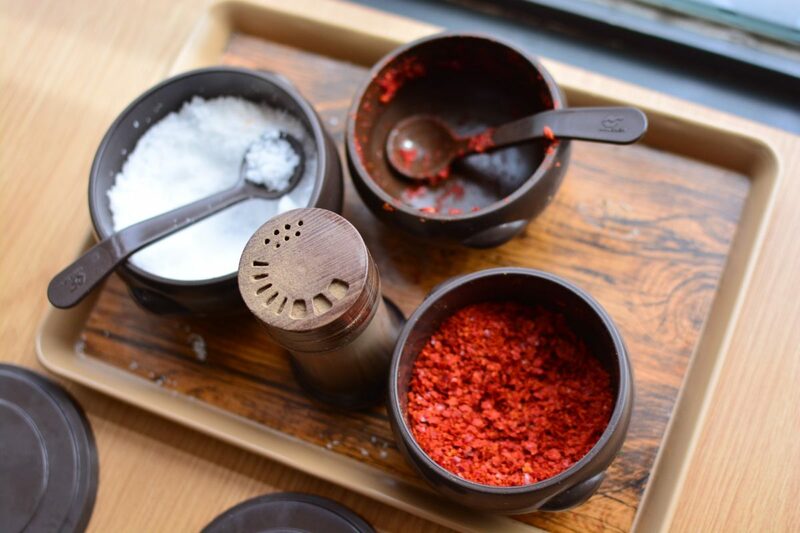 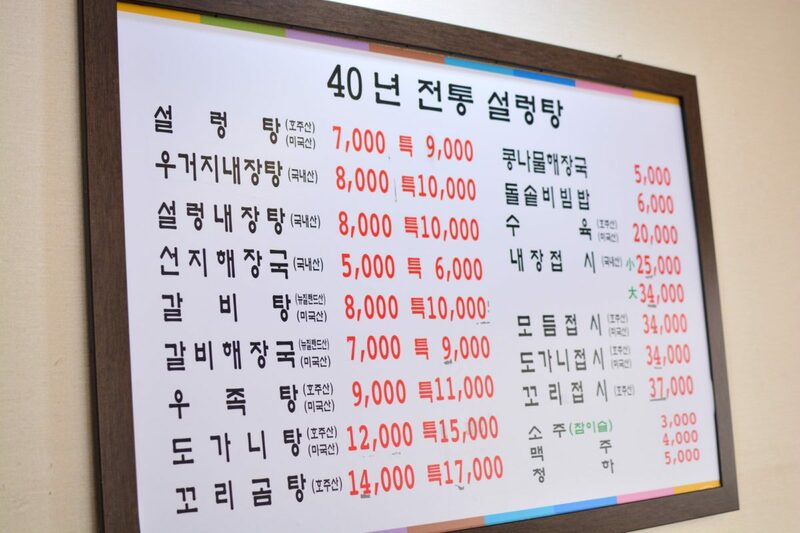 Priced at a modest 7,000 and 14,000 won, respectively, not only would you be hard pressed to find another place serving these comforting soups at this price point, you won’t find one open 24 hours every day. 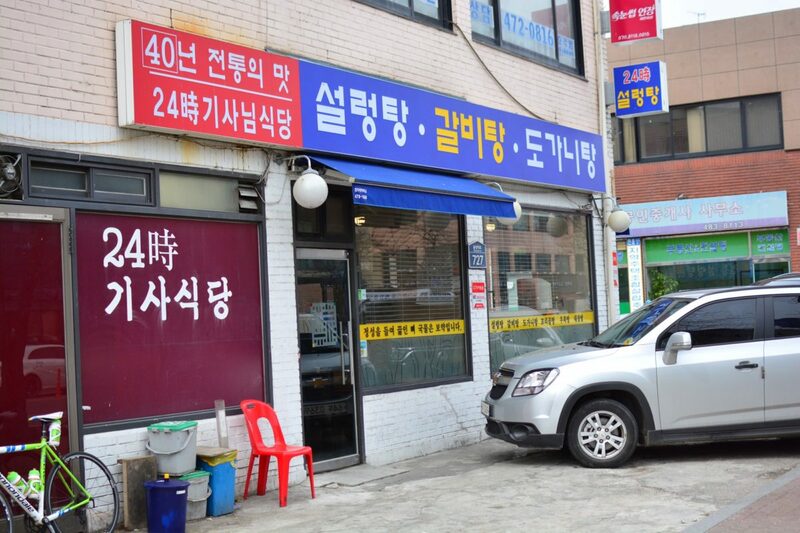 This gisa sikdang is located between Cheonho Station and Amsa Station on the east side of Seoul.